Looking for a specific building? Start typing in the search box to narrow down the options. Alumni/Welcome Ctr. Lobby, right of door. Anderson Hall 3rd fl landing by stairs next to door to rm 3013. Aux. Warehouse/Housing Front load'g dock area on wall next to bull brd by lockers. Brannen Hall Third Floor between rms 3020 & 3022. Building 404 To left of vending machs., by fire alarm panel. Building 404 Front lobby next to rm 1001 by TV. Centennial Place, bldg. 1 First Floor lobby to right of elevator #2. Centennial Place, bldg. 2 First Floor lobby to left of main entrance on column. Centential Place, bldg. 2 Corridor across from restrooms, 2123. Centennial Place, bldg. 3 First Floor Lobby, left of f.x., across from elevator. Centennial Place, bldg. 4 First Floor Lobby, right of f.x., across from elevator. Center For Art and Theatre Ground Floor Lobby by Black Box Theatre. Pediatric pads. Ceramic Scupture Front lobby to left of mailbox. Chemistry Building Third Floor by stairs next to rm 3222, on wall next to f.x. Cone Hall First Floor near front steps under FA horn/strobe. Deal Hall 3td Floor to rt of rm 3001. Eagle Village Com. Ctr. Lobby to left of rm. 1301, by f.x. Eidson House Opposite rm. 1002, next to f.x. ETS Warehouse To right of office door with "No Smoking" sign. Freedoms Landing Clubhouse On wall next to rm. 1812. Herty First floor across from Room #1110 bu women's restroom. Herty Second Floor lobby, next to mens rm. Herty Ground Floor next to F.Alarm panel. Hollis Building First floor lobby in corner closest to Herty Bldg. Housing Facilities Office Front entrance below sign for rm 1002, next to f.x. Landscape & Custodial Corridor next to break room 1024. Nessmith-Lane First Floor Front Ent PAC by door by FE. Pediatric pads. Nessmith-Lane Back of House by stairs at back load'g dock 1319. Nessmith-Lane Confr Area, second floor across from 2904 to right of f.x. Newton 1st Floor Office side, across from 1123, next to f.a. panel. Nursing Building 3rd fl next to rm 3005. Paulson Engineering 2nd Floor to right of rm. 2117 by f.x. Paulson Stadium South concourse by Men's rm across Pres. Pediatric pads. Paulson Stadium North concourse by Women's rm. Pediatric pads. Physical Plant Shops Breakroom wall under EXIT sign by door to rm 1025. Public Safety/ Police Next to room #1001 by FE. X mobile units in cars. Russell Union Second Floor By Dean Of Students Office #2022 Move from Williams Ctr. Scene Shop on wall left of mens rm. Near emerg. Shower, Move card holder. Soccer/Track Block wall left of bleachers, around corner from restrooms. Southern Courtyard, Clubhouse In lobby under fire alarm panel across from rm. 1004. Southern Pines, Clubhouse Between mens rm. 1011 and f.x. University Park Rm. 1001 by back exit. University Villas Clubhouse basement to right of double doors (billiards rm.). Watson Commons 1st floor, across from 0107 to left of entrance doors. Watson Pods 1st fl elev. Lobby, next to elev dr. Move hand sanitizer. Wildlife Ed. Pavilion By office. Pediatric pads. Williams Center Reception area by Room #2067 by FE. Phillips unit in box. Move to Russell Union. According to the American Red Cross, sudden cardiac arrest is one of the leading causes of death in the U.S. Over 350,000 people will suffer from sudden cardiac arrest this year. It can happen to anyone, anytime, anywhere and at any age. An AED is the only effective treatment for restoring a regular heart rhythm during sudden cardiac arrest and is an easy to operate tool for someone with no medical background. Georgia Southern has implemented a program to place AEDs in buildings across campus. The goal is to have at least one AED in every campus building. The first phase has begun. The units are being placed in white AED cabinets on the wall in accessible locations. 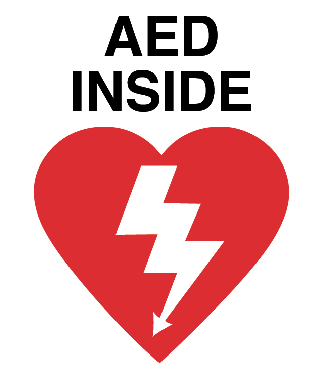 Each building that has an AED will have a sticker on the front doors of that building. All you need to do is ACT! Anyone can use an AED to help save a life. Training is not required. The AEDs are designed to talk and guide you through the steps. Time is of the essence. All you have to do is retrieve the AED from the cabinet and open it up. If anyone is down, do not think twice. Grab the AED and follow directions. For more information about AED’s please see the AED policy. An automated external defibrillator or AED is a portable electronic device that analyzes the heart’s electrical rhythm and if necessary delivers a shock to a person in sudden cardiac arrest. Do I need medical training to use an AED? Medical training is not required to use an AED. The AED Oversight Committee recommends that everyone take the opportunity to view the training video on the website on how to use the campus AEDs at a minimum. CPR/AED classes will be offered for those wanting to receive additional training. Can I harm someone by using an AED if they do not really need it? No. The AEDs will only deliver a shock when detected and medically necessary. Can I be sued for using an AED on someone? What is the University’s AED Program? Georgia Southern University is committed to providing a safe and healthy environment for all faculty, staff, students, parents and visitors to the University. To that end, the objective of the University’s Automated External Defibrillator (AED) Program is to establish a campus-wide oversight committee and to develop appropriate guidelines to ensure consistency in purchasing, placement, training, maintenance and oversight of AEDs on University properties. What are the benefits of participating in the AED Program? The most important benefit of having public access AEDs on campus is that they save lives. Furthermore, the University AED Program provides for standardization of AED units on campus, including purchasing, maintenance, testing, training and recordkeeping in order to ensure consistency of use and a centralized database for record keeping. What is the AED Oversight Committee? The AED Oversight Committee consists of representatives from the following University departments or agencies: Student Health Services; Office of Public Safety, Police Division; Office of Environmental Safety Services; Risk Management Office and/ or Legal Affairs; Athletic/Sports Medicine Department; Campus Recreation and Intramurals (CRI); Division of Facilities Services; Human Resources Department; Office of the Provost; Dean of Students Office; and the Emergency Medical Services (EMS) provider for Bulloch County. The Georgia Southern University AED Oversight Committee will meet on an annual basis or more frequently if AED program guideline updates or incidents of AED use require additional meetings. 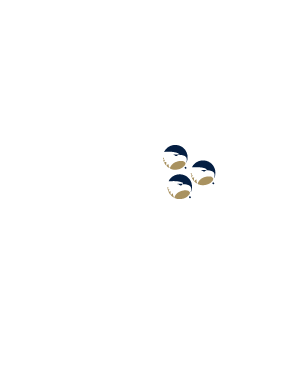 Who is responsible for the Georgia Southern University AED Program? The AED Oversight Committee is responsible for campus AED program oversight and record keeping associated with the University’s AED program. What is the responsibility of the AED Departmental Coordinator? The AED Departmental Coordinator is responsible for implementing the AED program within their department or unit, and serves as the primary contact for the AED(s) in their work area. In this role, the AED Departmental Coordinator’s responsibilities include ensuring departmental adherence to the University’s AED Program, notification of department staff of available CPR/AED training certification courses, and notification of departmental staff of the AED locations in their department buildings. In addition, the AED Departmental Coordinator will notify all departmental staff when any departmental AED unit is removed from service, where the next closest unit is located in that instance, and when a replacement unit has been installed in the original location. Who pays for the AED? The campus AED program is being implemented in phases as funding becomes available. It is the plan to place units in key designated areas as purchases are made. Specific departments may utilize private funding, donations, etc. to purchase/obtain AEDs for their area as long as the policy and guidelines are followed. How does the department purchase an AED? The requesting department will coordinate with the AED Oversight Committee on the Georgia Southern University AED Program Guidelines and the purchase of the approved unit and all necessary accessories. Do I need approval to purchase an AED? Yes, all AED purchases must be approved by the AED Oversight Committee. The Committee will instruct the requesting department regarding the purchase process, unit location determination, training procedures and other aspects of the campus AED Program. How can I find out more about the campus AED Program? Contact the Office of Public Safety at 912-478-5234, or send an email message to: aed@georgiasouthern.edu.